Your own private retreat. 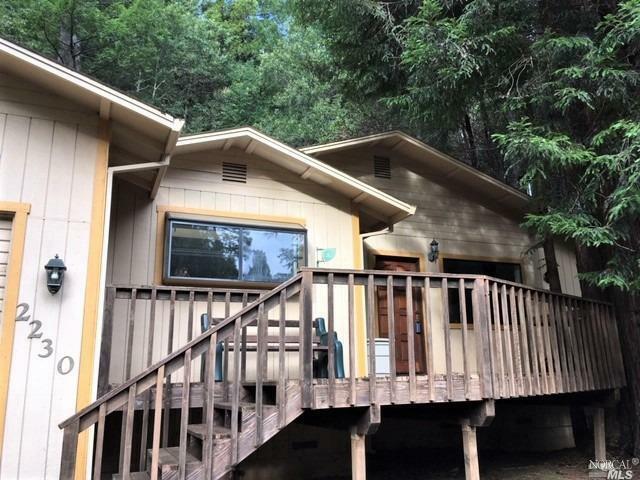 Nestled in amongst the redwoods, this 3 bedroom, 2 bath custom home offers respite from the hustle & bustle. For chefs, the kitchen includes a down-draft stove w/BBQ inserts, ample cabinetry, and greenhouse window. A gorgeous hearth and woodstove make for cozy family room accommodations. The home features several decks perfect for entertaining or enjoying your morning coffee. Come discover this gem in the woods.